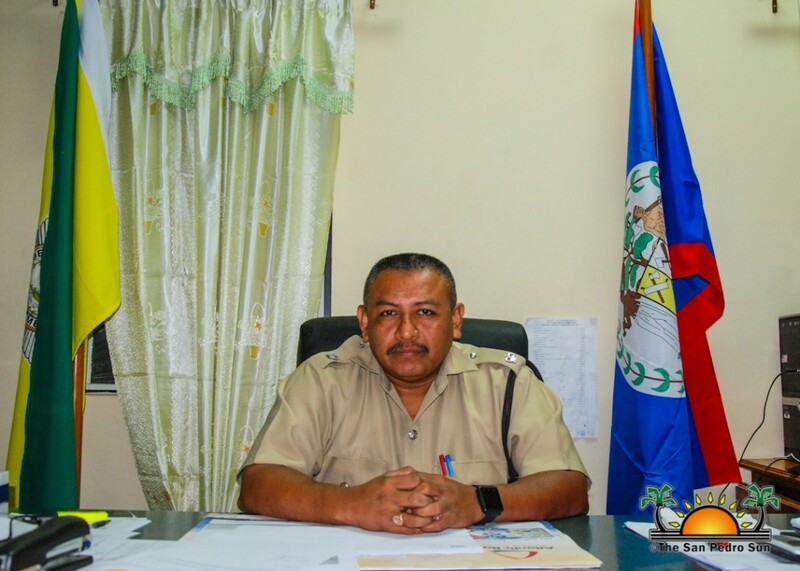 Originally from the village of Xaibe in the Corozal District, Reyes joined the ranks of the Belize Police Department in 1997. After graduating from the Police Academy in Belmopan City, he was posted at the police headquarters in the Capital City for six years and earned the rank of Corporal. Reyes was thereafter transferred to Corozal Town where he served for just one year. His next post was in Dangriga Town in southern Belize, where he exercised the role of an Acting Sergeant. He explains that after four years in the cultural capital of the country, he went to San Ignacio, Cayo District for seven years. During that time, he received his credentials as Sergeant followed by Inspector of Police and eventually Assistant Superintendent. Reyes also spent one year and three months in Independence Village in Stann Creek District, and before coming to Ambergris Caye, served in Belize City as the Deputy Commander for the Eastern Division Region 2. This division consisted of Queen Street, Belama Sub-division in the City and Caye Caulker and Ambergris Caye. The Officer in Charge is also planning to meet with the Belize Coast Guard in order to continue working together. “We need this partnership to do more joint patrols on the lagoon side. We also need to improve in conducting more checkpoints at strategic areas and times to curb crime,” said Reyes. He added that despite the limited personnel on the island, it is expected that more patrolling in various strategic points of the island will be taking place. He ended by emphasizing that to keep a safe community it is imperative that there is a close bond between the authorities and the island residents. The San Pedro Sun welcomes Superintendent Reymundo Reyes and wishes him success on our island.